Being a beautiful woman doesn’t depend on weight, hair or clothes, a former beauty pageant contestant told female students at Trevecca. Brooklyn Lindsey, a beauty pageant contestant turned to be a mom and youth minister. 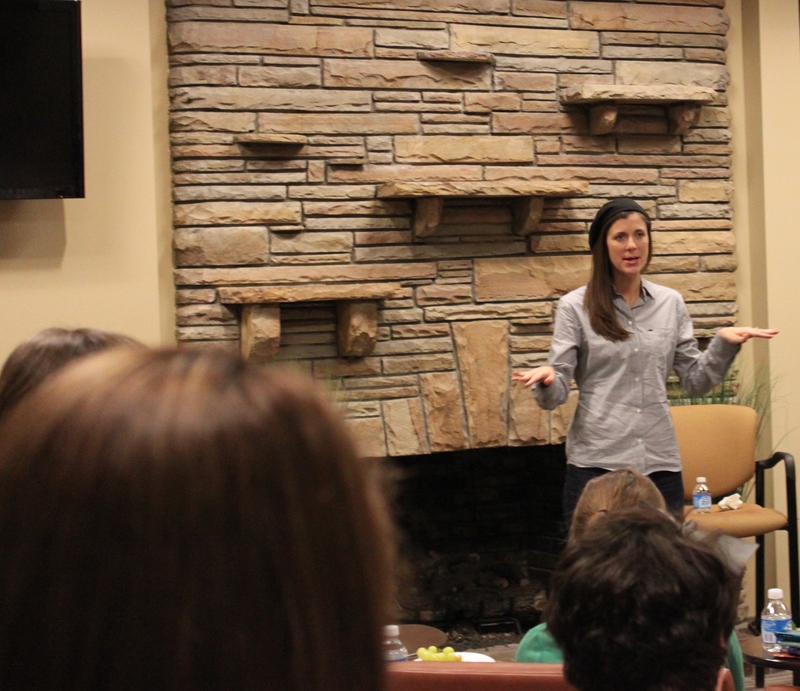 She spent some time with just girls on campus, in addition to speaking in chapel last week. Her message to young women: God made you and loves you and that makes you beautiful. Lindsey, the author of The Confessions of a Not-So-Supermodel: Faith, Friends, and Festival Queens, spoke to women about some of her own journey from being focused on physical appearance to focusing on God’s plan for all of her life. “I have become one super model in a wonderful, different and unexpected type of way,” she told the students. She also took questions from the audience about what sparked her change in career plans and how she deals with having two children and being a youth pastor. “Lindsey’s message is relevant to my life because it reminded me how God sees me,” Sophomore Business Kelly Huddle, said. The session was arranged by Heather Daugherty, Director of Church Services, as way to relate girls, women, and in particular college women whom struggle with issues of body image. “We need to learn to see ourselves, and find value in ourselves, as more than just bodies, but as children of God.” Daugherty said. To find out more about Lindsey or her book you can read her blog .